The 2nd June 2013 marked the 60th anniversary of the Coronation of Her Majesty Queen Elizabeth II. In front of more than 8,000 guests, including prime ministers and heads of state from around the Commonwealth, she took the Coronation Oath and is bound to serve her people and to maintain the laws of God. Almost 60 years after that ceremony, the Queen’s Coronation remains part of our popular memory, the great spectacle that ushered in the new Elizabethan age and set the tone for her reign. The full proceedings of a coronation in medieval times, and up to Elizabeth I’s and beyond, fell into four parts. The new monarch had first to take possession of the Tower: the significance of that move is obvious enough, it was to make the traditions associated with the Tower continued to be adhered to. 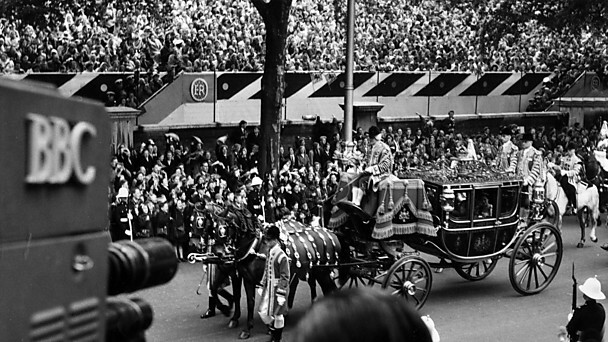 The second stage was the sovereign’s progress through the city to Westminster on the eve of the coronation. 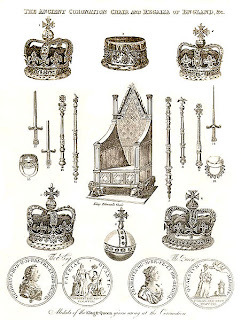 The third was the coronation itself in Westminster Abbey, with the procession to it. The fourth was the banquet in Westminster Hall after the ceremonies in the Abbey. Although Elizabeth had succeeded her father King George VI on his death the year before, it was not until June 2, 1953, that she was crowned. And as the world watched, dazzled by the ancient rituals and awe-inspiring pomp, the 26-year-old made a solemn promise to serve her country. 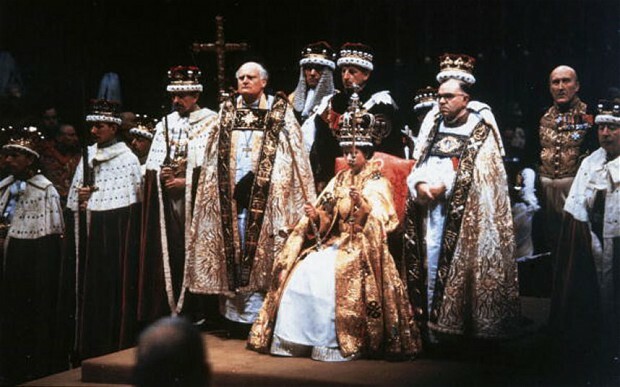 There were 8,250 crammed into Westminster Abbey, a further three million people lining the streets of London, and in homes across the land an estimated 27 million saw the first ever televised Coronation. 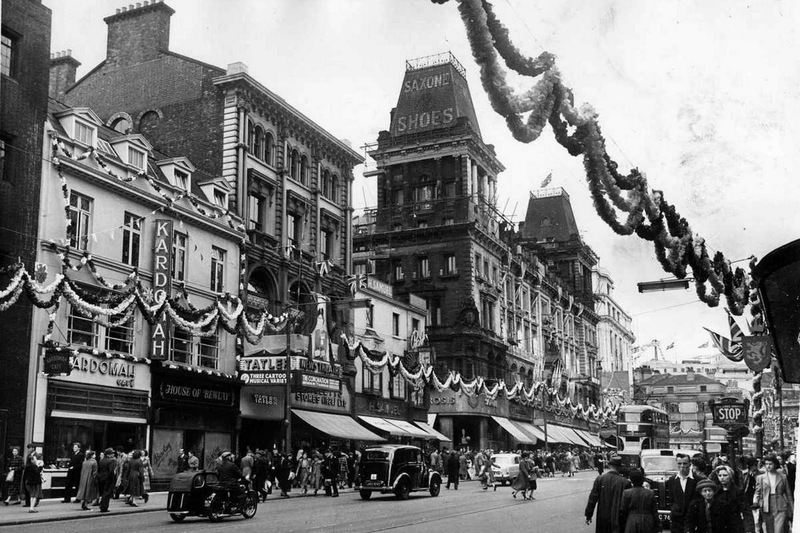 Meanwhile along with the rest of the country Liverpool celebrated by decorating the streets of the city centre with flags and bunting, even the entrance to the Mersey tunnel was decorated. 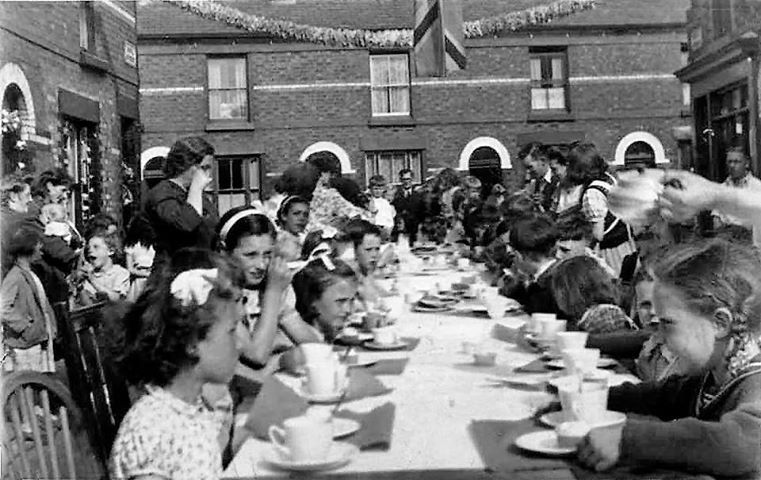 An in hundreds of streets throughout the city, friends and neighbours gathered together to put up decorations and prepare food for street parties. 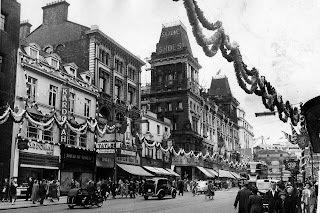 Although the war was over there was still some rationing in force and general austerity meant that food wasn’t plentiful, but this didn’t stop the people of Liverpool. Everywhere mums gathered together and pooled their resources to ensure that everyone had a good feed and enjoyed the day. And finally here are some facts about the Coronation….. It took the Royal School of Needlework 3,500 hours to complete the gold embroidery on the Queen’s Coronation robe. 29,200 officers and men took part in the royal procession or lined the route. Among those camping in The Mall to catch a glimpse of the newly- crowned Queen were a family who had sailed from Australia for the occasion. A dish of precooked cold chicken, raisins, herbs and spices, and a creamy, mayonnaise-based sauce was invented for guests to enjoy and known as Coronation Chicken. A young Prince Charles received a hand-painted invitation to watch his mother’s Coronation. But the four-year-old looked bored during the proceedings. The Ministry of Food granted 82 applications for people to roast oxen, if they could prove that an ox had been roasted at previous Coronations. The BBC chose its 30 shortest cameramen so they could cram into tiny spaces, particularly above the organ loft in the Abbey. An estimated 27million people in Britain watched the ceremony on TV, while 11million listened on the radio. Also on June 2, 1953, Sir Edmund Hillary and Tenzing Norgay reached the summit of Everest. The Queen had the idea of presenting all 14 members of the expedition with special edition Coronation medals, with the extra wording “Mount Everest Expedition”. "As this day draws to its close, I know that my abiding memory of it will be, not only the solemnity and beauty of the ceremony, but the inspiration of your loyalty and affection. I thank you all from a full heart.